Front Porch Studio: "Southern Menagerie" Acceptance! 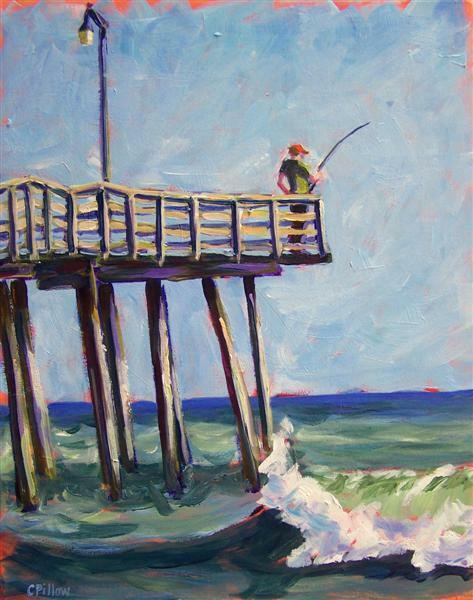 My painting, "Outer Banks Fishing Pier", was accepted into the Junior League of Raleigh and Visual Art Exchange's juried art exhibition, "Southern Menagerie", on display November 3-6, 2011. This exhibition is a special feature of the JLR's "A Shopping SPREE! ", an annual 4 day fundraiser. If you go, swing by the art exhibit while you're there!